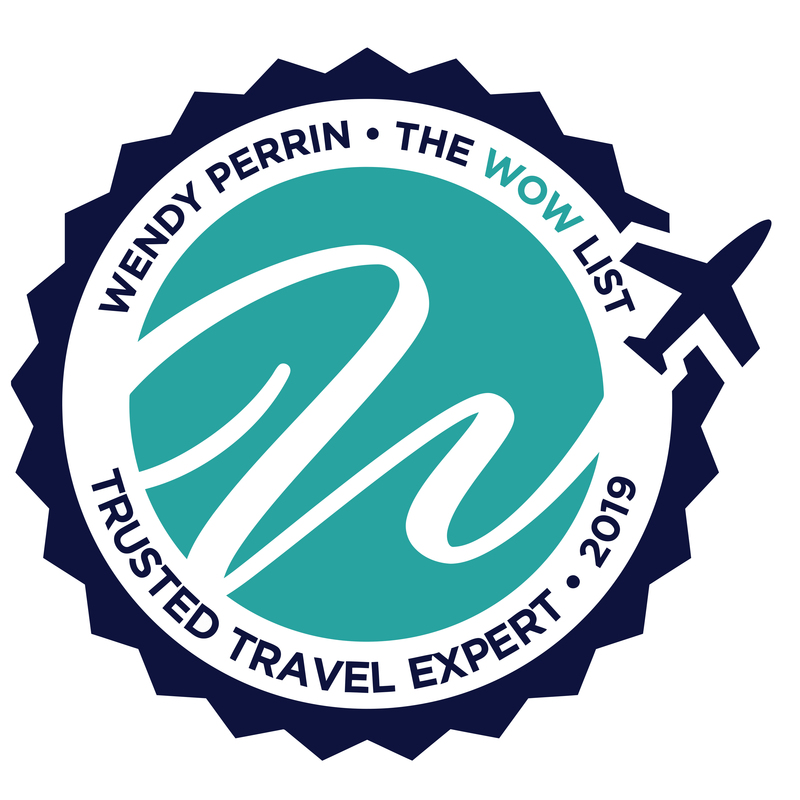 Jane and Philip McCrum are on Wendy’s WOW List of Trusted Travel Experts for their expertise and connections in England, Ireland, and Scotland. The reviews below are from real travelers who’ve taken trips that were arranged by Jane and Philip and monitored by Wendy. Don’t miss Jane and Philip’s Insider’s Guide to London and their Insider’s Guide to England’s Castles, Manor Houses, and Gardens. I had a very good experience with Phillip McCrum. He went on vacation early in the planning process and his colleague Kristina was terrific. We planned late, but she was able to secure some terrific hunting guides for my husband on our trip to Scotland/England. I would definitely use them again. When my wife learned she had to go to London for business at the end of July, we contacted Philip McCrum to help us plan a 5-day extension to explore the English countryside. Philip put together a wonderful itinerary for us that included Oxford, Blenheim Palace, Cotswolds villages, Bath, Stonehenge and Windsor Castle — all with very knowledgeable and personable local guides. He also helped procure tickets to Ronnie Scott’s Jazz Club while we were in London. My wife especially enjoyed our fantastic WOW Moment at the Thermae Bath Spa, where we had exclusive use of The Cross Bath, an open-air thermal bath. Jane was incredible every step of the way to make sure our experience was beyond memorable! Would have been impossible without her peerless effort. How different our trip would have been had Wendy not introduced us to Jane McCrum and her team. With only a short conversation Jane planned a trip for us that exceeded my most hopeful expectations and one that would have been impossible without her peerless effort. A private concert at an equally private estate in the highlands, a guided fly-fishing expedition through pristine waters, a tour of the castle built by our ancestors, and some of the very finest dining experiences we’ve had anywhere in the world. Our accommodations were exceptional, inviting, and unique, the perfect combination of five-star luxury and rural comfort. Our guides Nicky and Les were beyond compare, we couldn’t imagine having taken the trip without them. They both know the historical and modern-day Scotland in greater detail than I know my own neighborhood. They are tremendous storytellers and warm friends, effortlessly bypassing road closings, navigating the rainy weather, and juggling our schedules such that we never missed a thing. These two are likely magic in some way. We are already planning our return trip with our family, having left our hearts in Scotland. Our sincerest thanks to Wendy and Jane, without whom we’d never have been able to forge these lifelong memories. Cheers! After speaking with Philip McCrum, my husband decided that he wanted to travel to Scotland to celebrate his 60th birthday. The trip planning was left up to Philip and myself, and we had to come up with something special for the big day. Philip outdid himself by organizing a salmon fishing trip on the River Tay with our own private boat and ghillie, followed by a gourmet lunch at the fishing cottage, then a foraging expedition to find ingredients to use for our cooking class taught by a master chef. After our cooking class, we were escorted back to our hotel to freshen up, then returned to the farm for a candlelit romantic dinner complete with perfect wine pairings and a special over the top chocolate and strawberry birthday cake. We got to know everyone at the farm and felt like family by the time we left. It was a truly memorable day! We did have one difficulty during our trip that Philip managed to save us from. One of the hotels we were booked into for 3 nights was reputed to be 5-star property but, when we arrived it was far from it. We called Philip and asked if he could possibly find us anywhere else to stay that would be clean and comfortable (a difficult task as every B&B, Inn, and a hotel we passed had their “No Vacancy” sign displayed). Within an hour Philip had secured us new accommodations and negotiated that we would not incur any charges from the hotel we were leaving. The hotel we moved to ended up being our favorite as well as serving the best meals of our stay, what a save! Finally, Philip arranged for us to stay and have dinner at the fabulous gothic Witchery by the Castle on our last night in Edinburgh. What an amazing place, the photos online do not do it justice! To top it all off we experienced a WOW moment (and we did both say “wow”) when we were told that our meal was compliments of Wendy Perrin! Thank you, Wendy! Jane McCrum and Dawn on her staff planned our 18-day vacation to Scotland. The initial phone call with Jane sets the tone for your trip. I admit to being a “high maintenance” traveler having had MS for 40 years, and my husband was having a total knee replacement the week after our trip. Our interests are also somewhat unusual: Celtic Spirituality, geology, and genealogy. Jane made magic happen! Private guides/drivers solved our transportation issues. Both Jo and Les “made” the trip with their insight (changing plans on the fly due to weather, construction, energy levels, etc. ), local knowledge (changing restaurant reservations for secret spots! ), and on Iona, making the heretofore thought impossibility, happen. The highlights of our trip: Dawn had recommended visiting Walsingham, two religious shrines on most pilgrim’s journeys. It was a wonderful surprise and very peaceful and moving. Then, Ely Cathedral. Jane set us up for an afternoon with Alan Williams, archivist for the Cathedral. Alan had researched all about Bart’s 10th great grandfather, Sir Richard Cox, Bishop of Ely, c1500 to 1581. He presented us with three notebooks of new information, but the grandest moment was when the current Bishop very generously loaned Alan his house keys, and we visited with his cat while finding the surprise of a lifetime in the Bishop’s private office: a very large picture of Sir Richard’s actual funeral! Then, to top that off, Alan had retrieved his needlepoint stitched kneeler for Bart to see. Definitely a memorable afternoon. Les, our guide/driver in Scotland seemed to understand our desires intuitively. Day 1 he took us over the most remote backcountry roads where we learned about Cairns, examined rocks, had close up encounters with newborn blackface lambs, pheasant, red deer and Highland Coos. He never tired of me yelling “Stop” so I could get another picture. We ferried over to Iona for three nights. He and Bart hiked the hills over to Columba Bay. The Adoran house manager, Richard, was a lovely host; however, the accommodation was about as far as one could get from “town” and the single taxi was extremely expensive. Les managed the impossible the next day by using my Texas handicap permit to receive a permit to bring his car to the island so I could experience all it has to offer. My heart exploded with joy! The last highlight was amazing, too. Jane/Dawn obtained us great seats to see the London production of “Hamilton.” Brilliant cast and spectacular set in the newly renovated Victoria Palace Theatre. And, yes, we had a few bumps in the road, but those were immediately remedied personally by Dawn and Jane. I highly recommend using this WOW team for any visit to Scotland and England. The access and contacts she has throughout the country are just spectacular. We went to England over Thanksgiving and used Jane to plan our trip. As always Jane and her staff are amazing. She arranged spectacular tours for us including an early entry and tour of the Tower of London, a spy adventure at the British Museum and a half-day movie making throughout London. The latter involved us going around London and having movies shot of the children at various locations where Harry Potter was filmed with the children having wands and capes. They will then put this together into a film. The highlight for me was the tour of the Churchill War Rooms with the director emeritus of the War Rooms that took us behind the scenes and allowed us to sit in the actual chair that Churchill sat in. Ruth our guide, Andy our driver and the “spies/movie directors” were incredibly friendly and knowledgeable and did an excellent job getting the children involved and engaged. This is the second time we have used Jane and I cannot recommend her more. We also had the pleasure of having tea with her and she truly is a wonderful person. The access and contacts she has throughout the country are just spectacular. One of the children asked if she had ever met the Queen to which she replied a number of times. We definitely plan to use her again when we go back to England. Jane and Philip and the rest of the team were great at planning this trip. I traveled with twin teenagers around England and Scotland and there wasn’t a day that didn’t create lasting memories. I was especially pleased with their planning in the Peak district and in Scottish Western Highlands. Each day we had a unique adventure, be it hiking in the Peak district, taking part in skiff races in the Highlands or meeting a wonderful musician-hotelier couple in Scotland. Book with this team and you will be in experienced, deeply-caring hands. Seats Jane procured were among the best in the house. Jane arranged six days of touring for us before and following the 2017 C. S. Lewis Oxbridge Symposium. We visited the Sloan and Samuel Johnson homes, the Tower of London, Windsor Castle, Bletchley Park, Stonehenge, and the city of Bath. On our weekend in London, we attended a production at the Globe Theater, and the seats Jane procured were among the best in the house. Our guides were all delightful and informative. Jane McCrum was simply excellent. She and Julie did a fantastic job customizing our experience and ensuring we had the benefit of their years of work experience and extensive networks in London. This was a trip my family will remember forever. The attention to detail and ability to help us decide where to spend our time and money was top notch. I really have no constructive criticism or complaints. Jane McCrum and her team (Julie!) did an excellent job helping my daughter and I plan an extended weekend in London. They were patient with us as we kept changing our itinerary, were very prompt in their email exchanges and gave excellent advice. Their recommendation of the Ham Yard hotel was spot on. It is a fabulous boutique hotel with an amazing design aesthetic and wonderful service. The concierges were incredible kind and resourceful (locating sold-out soccer tickets and arranging an impromptu dinner for our group in the library when everywhere else was booked). Also, the private tour of the Harry Potter studies that Jane and Julie arranged thrilled my 16 year old Potter fan. I would not hesitate to call on them again. With short notice, Jane and her team put together an interesting program highlighting a few important London stops. From a personal tour of Chartwell to tea and a personal tour of the chapel at Windsor Castle with one of the military knights, Jane planned three special days. She secured the best table for us at The Ivy and organized a walking tour of London which was capped off by a personal tour of Buckingham Palace. For a veteran traveler who has visited London many times but hasn’t visited many of the “standard tourist sites,” it was nice to visit some tourist destinations with an expert guide. Excellent job! Jane and her group did a great job planning a few premium tours for our last minute trip to London. We are still awaiting a credit for a snafu with our private transport from the airport but I am sure they are still working on this detail for us. We loved our driver Ivan for our last day in London and Phil our tour guide was fantastic. The day we went to parliament for a tour and lunch with a MP (great experience) there seemed to be some confusion between our guide and the MP with our meet up time. I mention this because we were rushed through security and didn’t get to say a proper goodbye to our guide, Phil, and did not have an opportunity to give him a gratuity for his expertise. We felt badly about this. I also really liked that the items of the itinerary were itemized by cost instead of one grand total at the end of the quote, which was our experience on other trips. Our trip was fabulous in every respect. I would recommend Jane for attention to detail, efficiency, and flexibility with all of our itinerary changes and excellent guides. Special touches included entrees into private homes, a courtesy gift and follow up email when we returned home. Truly made the trip a smooth and first class delight. If you want an insiders trip to London/ England choose Jane! They can open special doors for you. All of Jane’s staff were very prompt in responding to our may queries during the planning stages; sometimes even late at night. They are the best! Jane McCrum is terrific – met some wonderful people at the Tower, Parliament and Windsor. Also had tea with Jane and everything worked like clockwork. Her guide was extremely knowledgeable. My husband and I had used Wendy’s experts for travel to Kenya and also to the Southwestern U.S. and definitely wanted to use one of her experts for our trip to London because we knew of the priceless benefit of worry-free, impeccably-planned travel. However, our needs were very different for this trip. We were traveling with another couple who had never experienced the benefits of using an expert, we were staying in a friend’s flat which was quite centrally located to museums, transportation, and other wonderful sights, and we were only staying a week. Although our friends questioned our judgement on using professional assistance, we convinced them to trust us. We all were more than thrilled with the outcome. We asked Jane to plan two full days for us, one in London, and one on the outskirts. We also asked her to get us tickets to a show for a different night. Our itinerary was as well planned and thought out as any of our other trips, in spite of our small number and few days. The show tickets were delivered right to our flat before we arrived. We were given a contact phone number, which we used once, so we could ask any questions at all. A knowledgeable, private driver took us on trips to Oxford, the Wormsley Library, and to an amazing luncheon served at the Getty Estate. Our City guide met us at the flat and traveled with us by taxi to our very special, behind-the-scenes private tours of the Churchill War Rooms and Tower of London, which were amazing. Our friends and we agreed that using Jane’s wonderful service was well worth the expense and made this short trip one to remember the rest of our lives. Traveled to London , July 2015 with two grandsons, ages 11 and 7. All arrangements except air were through In Any Event tours: hotel, driver, guides who specialized in our daily tours.Sites we visited included Westminster Abbey, Hampton Court and Maze, The Eye, Thames River Cruise, Maritime Academy, London Dungeon, James Bond in Motion, Emirates Stadium. At the Churchill War Room, Tower of London, Windsor Castle, and HMS Belfast we had an additional guide with private tour. There were no hassles with transportation, arranging and coordinating tours, etc. It was a memorable, educational, and enjoyable vacation. Staff and guides deserve an A+. 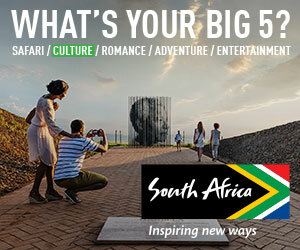 An outstanding top travel specialist. I was interested in a garden tour of the Cotswolds and found England specialist Jane McCrum on Wendy Perrin’s WOW List of Travel Specialists. Wendy states if you email through her website, the agent will VIP you and Wendy will monitor your trip to make sure the agents live up to their reputation. Email sent. Jane McCrum called the following day and I explained my interests. Primary focus on gardens in the Cotswolds, small manor houses, architecture and small postcard English villages. I received a rough draft itinerary the following week. OMG! You are kidding me, was all I could think. The draft looked spectacular. I could think of no changes or input. I only asked why also Kent and Sussex? To provide a better overview and comparison of gardens in the region. The trip begins, July 2015: After a few days of leisure in London, my driver/guide Jo picked me up at Spencer House after a private tour. We headed out of London, first stop Broughton Castle. We were greeted by Lady Saye and Sele, the delightful owner of the house. She gave an overview of the history of the house, built in 1306 with additions in 1550. It was the center of opposition to Charles 1. I quickly gained knowledge of the English Civil War. Lady Saye invited us into her kitchen for tea. I wanted to wrap her up and take her home. That evening I checked into Barnsley House, the perfect Cotswold manor hotel. The gardens were designed by legendary gardener and former owner Rosemary Verey. A perfect beginning. The week was a whirlwind of everything I had imagined: Quaint towns, Bourton on the Water, Stow on the Wold. Hidcote Gardens (a famous Arts and Crafts garden c1905), Kiftsgate Gardens, Highgrove (Prince Charles’ exquisite masterpiece). New guide Donna halfway through the week as we pushed on to the southeast, stopping at Highclere. No words necessary. Gravetye Manor, elegant hotel of English dreams. Tucked into garden designed by William Robinson for the evening. Sissinghurst and Great Dixter, two well-known gardens that had me entranced. Great Dixter, designed by Christopher Lloyd, was mesmerizing and perhaps the fact that the head gardener, Fergus Garrett, picked me a bouquet of sweet peas in stunning colors swayed me to think it trumped Sissinghurst as the better garden. Lunch with Princess Olga Romanoff, the daughter of Prince Andrew Romanoff, the eldest nephew of Tsar Nicholas II of Russia and her son Francis at her home, Provender. A delightful woman who opens her home for various events. Quick tour of Canterbury Cathedral. Last stop, Chartwell House, home of Sir Winston Spencer Churchill—a stop that is worth it. The phenomenal week was almost over and I spent my last night at the remarkable Coworth Park Hotel, which is 20 minutes away from Heathrow. The hotel is in Ascot and has a large equestrian center. I cantered my horse around the estate through yellow meadows watching polo ponies practice. Thank you, Wendy Perrin, for matching me up with Jane McCrum of In Any Event, an outstanding top travel specialist.